Are these T-shirts still available? There might be a few left. 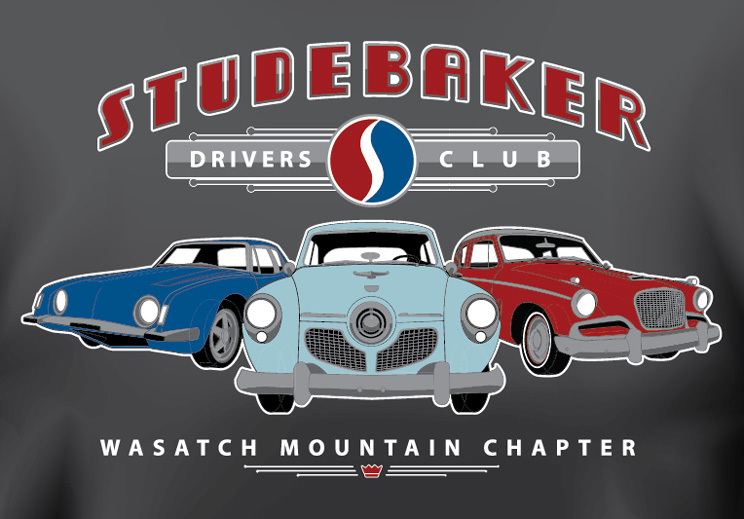 Are you in the Wasatch Mountain Chapter Studebaker Club? I designed the shirts and have the original artwork that could be sent to a printer. 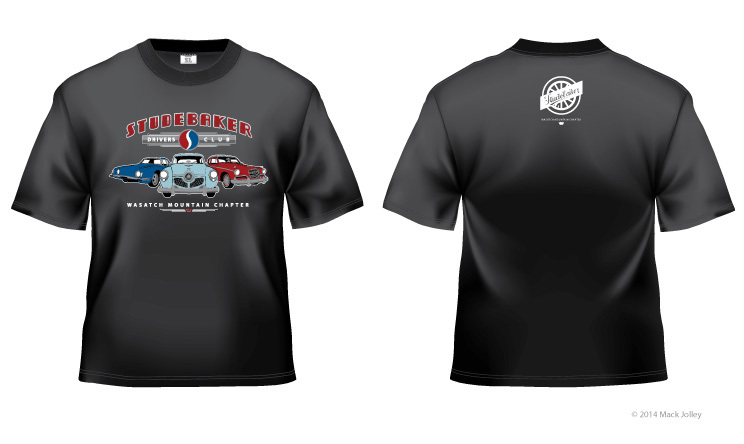 The print run that we did for the Wasatch Studebaker Club may be sold out. We printed as many as we had orders. In 1973 the Conestoga and PEM Chapters hosted the h Studebaker Drivers Club International Meet in Colorado Springs, which was the very first SDC International Meet to be held outside of South Bend, Indiana. In 1987, the Conestoga Chapter hosted the d International Meet in Estes Park which turned out to be one of the most popular SDC International Meets ever held.